Japan is facing a demographic disaster. As of 2014, 26 per cent of the population is over 65-years-old. Simultaneously the amount aged 14 or under has reached an all time low of 13%. The social and economic implications of a shrinking tax base and growing pool of pensioners could hardly be starker. How to look after all the old people when they get ill and require care? And how to pay for it? The possible answer is both innovative and traditional, and it plays upon very particular Japanese strengths of social duty and respect for elders. 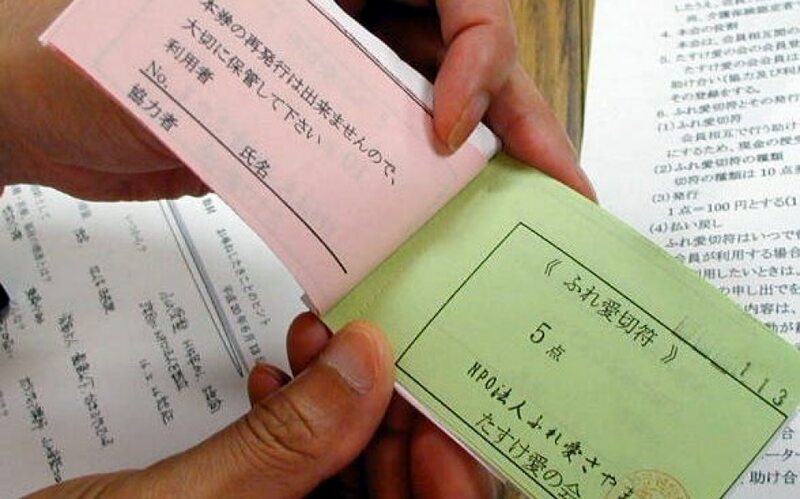 Fureai Kippu, clumsily translatable as ‘ticket for a caring relationship’, is an electronic currency that banks your altruism, converting an hour of labour helping an elderly person into a credit that is held in an online clearing house and can then be drawn upon when you need it yourself – or passed on to someone you know. First trialed in 1995 Fureai Kippu is increasingly accepted across Japan. Over 370 institutions are accepting the new currency and more are signing up. But perhaps the most exciting long-term implication of Fureai Kippu is a future world where pure self-interest is replaced as a country’s main social motivator by the rewards of helping others. Michael is a former British Magazine Writer of the Year and two times Columnist of the Year. He is a regular contributor to Wired, author of a social history of the AK47 and his cultural and travel writing appears in the Financial Times and New Statesman. Tags: Ageing, Campaigns, Community, Economy, Empathy, Employment, Population.